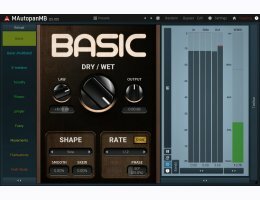 MAutopanMB, the most powerful automatic panner in the world, is the cure whenever you need to make some audio material more spatial and less static. It's an indispensable tool for keyboards, guitars and many other mono instruments. Unlike conventional autopanners, which let you process the whole signal only and provide just a few predefined oscillator shapes, MAutopanMB can split the signal into up to 6 bands and treat each one separately. When it comes to oscillator shapes the options are, let's say, very wide. Most powerful tools have an overwhelming range of flexibility. Too many features can make it hard to know where to start. That's why we have created a dual interface for many of our plugins. 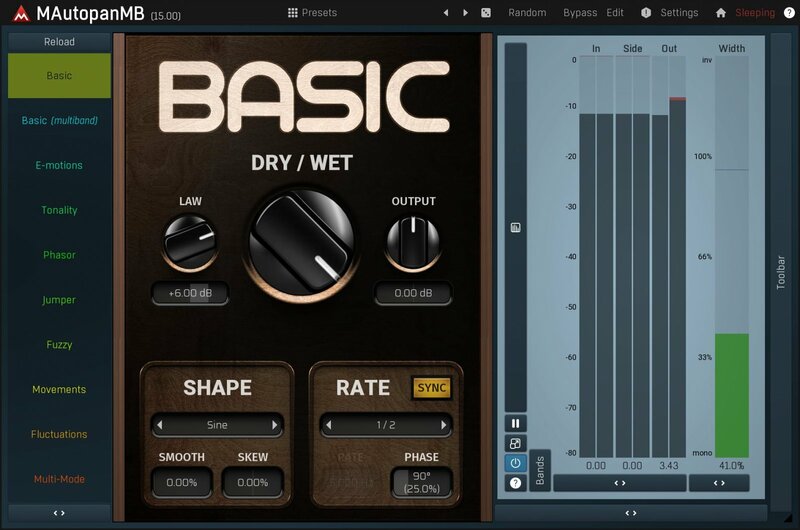 Just a few knobs, and dozens of great presets to get you started. Once you are familiar with the plugin, switch to Edit mode, for the raw experience and total control.